Customize & coordinate like any other room in the home. Along with top of the line strength and storage capability, all of our systems are available in a variety of colors that coordinate with one another. No matter what mix of systems you choose, the colors can be picked to match and compliment each other. We make it easy to receive a professional garage makeover in San Diego. Our cabinetry comes in 14 solid colors and 10 two-tone finishes and make it easy for you to personalize your storage space. They also include your choice of either pole or extruded handles. Floor coatings are available in 10 coating and flake combinations in many of the same colors of our cabinets. Our floor tiles come in 19 colors, providing the ultimate option for variety. Monkey Bars shelving and overhead racks come in two powder coated finishes, Granite Gray and Desert Stone and feature elements found in our cabinets and flooring. Hooks, handles, and hardware for our shelving, cabinets, and Slat Wall match in our Graphite Pearl finish. Cabinet handles also come in stainless, black, and bronze finishes. In our experience, the garages that are loved the most and organized the best are ones that are meticulously designed and treated like any other room in the home. 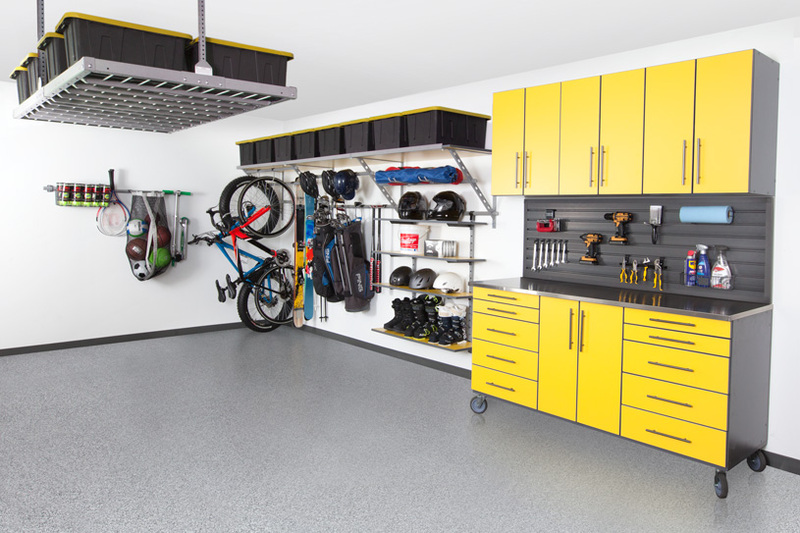 Your garage should be more than just storage, it's a large part of your home. 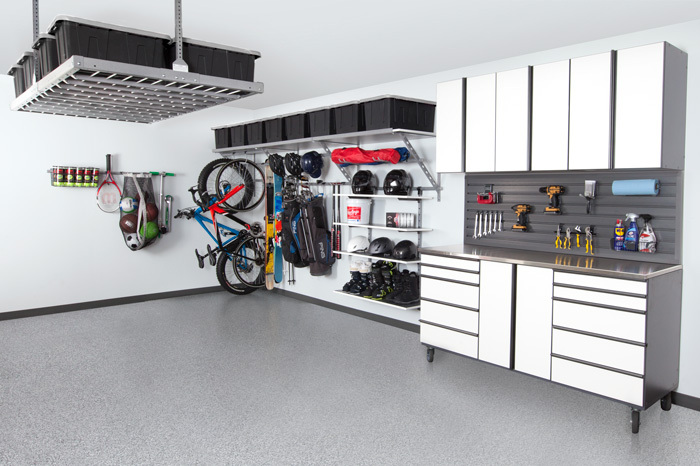 When you transform your garage, storage limitations are not only eliminated, but your garage becomes an area you can proudly show off. Take your garage makeover in San Diego to the next level and give us a call today! We are the exclusive Monkey Bars dealer in the San Diego area. We walk through your garage and assess your storage needs. Then we build a plan with recommended products to meet your goals and create a 3D visualization of the layout. Once the design looks perfect, we install the systems in your garage as quickly as a day or two.